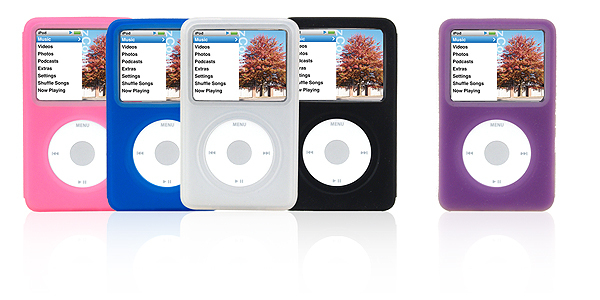 zCover Inc, the leading manufacturer of fashionable silicone protective cases has announced today the release of their iSA classic Fashionable Silicone Protective Case for the new iPod® classic. Each zCover "iSA classic" Original Pack contains one protective case, one hard crystal clear Screen Protector and a removable rotary Belt Clp. In its first release of the iSA classic, zCover is offering a selection of six colors to the consumer. Versatility, resilience and user friendliness make the simplicity of zCover's iSA classic perfect fits like a glove for Apple's iPod classic, the perfect choice. zCover's iSA classic design focuses on intuitive usability while offering protection in its fullest form. zCover has always focused on the merging of function and style, but this time the iSA classic not only provides full access to all of iPod functions, but also has a few enhanced functions of its own. The iSA classic design allows you to show off the beauty of iPod and provide serious protection from scratching and dirt. Along with being shock-absorbing and tear-resistant, zCover iSA classic cases, paired with the zCover customized crystal clear hard Screen Protector will protect 98% of your new iPod's surface. zCover's innovative port flip-cover has been applied to the iPod classic perfectly, protecting the Apple dock port from sand, dust, dirt and liquids, while still allowing full accessibility for charging, or even docking, your iPhone while still in the iSA classic case. The unique belt clip system allows you to turn your iPod horizontally and vertically with ease. zCover iSA classic cases for the new iPod classic ships in 5 business days. 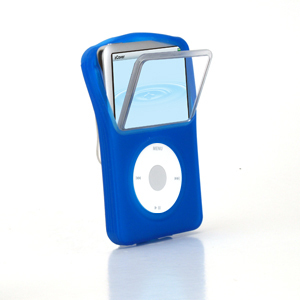 zCover Inc, the leading manufacturer of fashionable silicone protective cases has announced today the release of their iSA classic Fashionable Silicone Protective Case for the new iPod® classic. zCover iSA classic cases for the new iPod now available for pre-order with ETD September 20th 2007. Versatility, resilience and user friendliness make the simplicity of zCover's iSA classic perfect fits like a glove for Apple's iPod classic, the perfect choice. zCover's iSA classic design focuses on intuitive usability while offering protection in its fullest form. zCover has always focused on the merging of function and style, but this time the iSA classic not only provides full access to all of iPod functions, but also has a few enhanced functions of its own. Each zCover "iSA classic" Original Pack contains one protective case, one hard crystal clear Screen Protector and a removable rotary Belt Clip. In its first release of the iSA classic, zCover is offering a selection of six colors to the consumer. The iSA classic design allows you to show off the beauty of iPod and provide serious protection from scratching and dirt. Along with being shock-absorbing and tear-resistant, zCover iSA classic cases, paired with the zCover customized crystal clear hard Screen Protector will protect 98% of your new iPod's surface. zCover is a pioneer and trend-setter in the fashionable silicone products market. zCover® iSA silicone cases and accessories have been nominated by Macworld Awards 2006 and 2007 as editor's choice in iPod Accessory Category. zCover products are available at Apple retail stores, Best Buy Canada, J&R and other electronic stores. ZCover is presently seeking partnerships with resellers to distribute zCover products worldwide.